Israel informed the Palestinian Authority on Sunday evening that it plans to cut off power in the areas surrounding Ramallah. Palestinian sources have told Quds Net news that they are doing so under the pretext of fixing the electricity network along Route 60, the road that serves the settlements and connects the north and south in the West Bank. Israel’s national power network has sustained severe damages, especially in the areas serving the West Bank settlements, as a result of the winter storm that has hit the region over the past five days. Israeli electricity maintenance crews have been working to restore electricity to areas inhabited by settlers in the northern West Bank. The power outages will remain for periods ranging from 5-10 hours and hit several Palestine towns around Ramallah, including: Burqa, Pettin, Ein Yabrud, Turmus’ayya and Deir Debwan. 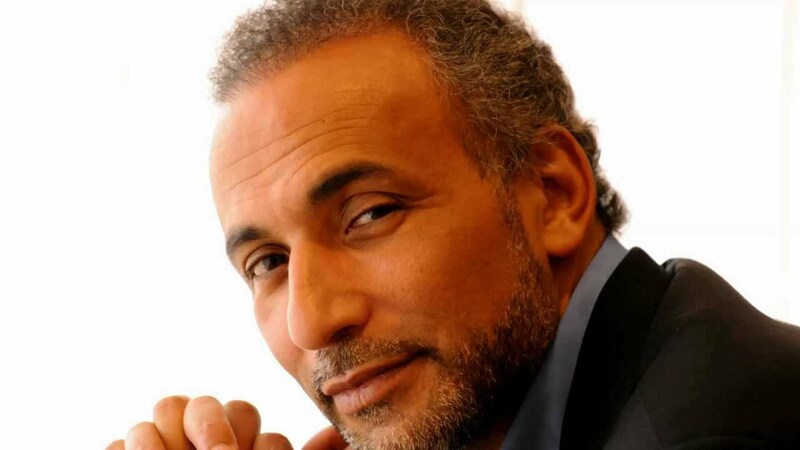 Professor Tariq Ramadan is a European Muslim who advocates reform in Islam and promotes interfaith dialogue. Born in Switzerland and the grandson of the Muslim Brotherhood founder, Hassan Al Banna, the European academic has been named by Time magazine as one of the 100 most important innovators of the century. He told ZAKIAH KOYA during his recent visit to Kuala Lumpur that Muslims must make an effort to move from mere formalism – a fixation on ritual – towards a committed spiritual and social presence. When we talk about values, when we speak about dignity and solidarity and when we talk about racism, dialogue can be very important because at the end of the day when dealing with Christians and Buddhists – why do they have to listen to me? – because together we want to change the world for the better. We want to make our world a better place. Malaysia cannot have social cohesion if you do not have dialogue. We need this dialogue among religions. There are areas we can explore. For instance why do we believe what we believe? Is there someone who can believe that Allah is happy with the 100,000 people who are dying of starvation everyday? Will there be someone who, when we speak of global warming, will convincingly say that God is happy with us? He is not. We know that we are not meeting the challenges and dialogue can be a meaningful exchange if we do not make it just an exchange of words. Since Muslims say that their religion is perfect, why are you talking about the need to reform Islam? I am not saying this. Islam does not need to be reformed and Islam has in itself tools for Muslims to have a true understanding of it. What we need to reform is the Muslim minds. The texts that the Muslims refer to – the Quran and hadith – are going to stay as text. They are not going to change. We have an immutable set of principles. We are facing challenges. Islam is for all times and all situations but who is going to do the job? Our minds of course. And we have to evolve our minds with our rationality. It is our static rationality that is betraying the text. Active rationality is what makes the text universal. Whose responsibility is it to bring all this about? It’s a multiple responsibility. Of course, the first to be mentioned are the Muslim scholars, the ulama and the intellectuals. They have to come with a vision and they have to deal with the matter of authority. They deal with the text and scriptural sources. So, I would say they have a great responsibility on that. I would also say the ordinary Muslims should understand that they are responsible too. Ordinary Muslims should understand that they cannot just blame the people at the top but understand that they too have power. As a result the ordinary Muslims are too passive, suffering from a mentality of victimisation and are always blaming others. They must understand that they have their share of responsibility in the whole process to shoulder. Malaysia is a country with a lot of diversity. It is a plural society. How does Islam view these diversities? This diversity is God’s will. The Quran says that if God wants it He could have made you one community. He said: We made you tribes and nations so that you may know one another. In Islam the word, therefore, is respect, not tolerate. Who are we to tolerate? This is God’s will for me to be here. So it is for Muslims to understand that because Allah wanted Christianity, wanted Judaism, and Buddhism and atheists and anarchists to be here it is for them to respect God’s will. To respect means “I acknowledge the fact that you are here, I acknowledge the fact that you have to be respected – and more than that – I am asked by Allah that I have to know you, which is a two-way process of acknowledgment. Respect is to acknowledge you and know you that you are different and to know about you. My knowledge towards you is an act of respect.” So, I think tolerance is not enough. We must remember that diversity is God’s will. At the same time Muslims must stop the belief in this illusion that we have one and the same thought in Islam. There is diversity among Muslims too. It is a reality. Never forget that this diversity is not only a challenge but also a gift. Through dialogue with Christians, Jews, Buddhists, they may make us better people. Most Muslim societies are guided by their ulama and religious scholars. In time they have become revered people. Whatever they say is accepted without question. Thus many Muslims grow up with a fear of asking questions. It is unfortunate, don’t you think? We have to respect the scholars but we should not fear to question them. Especially now. What is said today is not what was said fifteen years ago because the Muslims are experiencing new situations. The point here is ordinary Muslims should stop acting like blind followers and blaming the scholars for not doing their jobs when they themselves are not doing their job. What is their job? It is to come with a critical mind – there is no deep faith without a critical mind. You know there is one principle to be followed when you go to a scholar and you ask him for a fatwa. But when he gives you the fatwa, you have to ask him or her where does it come from. Give me the evidence. Not only do you get an answer but you have to understand where the answer comes from. What the Muslims are doing is that they just want answers and very often they are having a “touristic” attitude towards fatwa. They are looking at scholars and they choose the scholar that they want that gives them the fatwa that they want. In the end they get the fatwa they are looking for. This is not Islamic – an attitude which is lacking in sincerity. We need more sincerity from the Muslims and more critical minds – and carry out deeper challenges and deeper questions – not only how do I enter the mosque and such. The scholars must listen to the community and know what is happening. By definition, a scholar is serving the community – not to be served by the community – his power or authority is coming from the community he is serving. What we have now is the other way round. We are idolising some of the scholars and in the process giving them authority over us. We have to revive the questioning mind. During the time of the Prophet, when he gave an opinion or a ruling his companions questioned him, “Is this coming from God or is this coming from you?” When he said, “This is my opinion”, they said then we challenge you. They were challenging his authority to find out how he came up with his opinion. If it is coming from God, no problem. You must have heard that there is a request by a Catholic publication, the Herald, to use the word “Allah” when referring to God in its articles in Bahasa Malaysia. The government has objected to this. What is your view on this? If you travel around the world, in the Arab world, Allah is used by all Christians – Coptics and others. To us, Allah is the one God who sent us the prophets Moses, Jesus and Muhammad. When we use Arabic, we say “Allah”, when speak in English, we say “God” and when we speak French, we say “Deus”. The point is the substance and the substance is one God. We are using the language to say it. Some of the scholars coming from the literalist trend, the Salafiya-al Harfiyat, say that Allah is a very specific name. The majority of the Muslims are using the word “God” when they speak English and the other words in other languages. Allah is not the God of the Arabs but Allah is the only God of all human beings. This is what we are saying. When we speak other languages, you change by knowing what you are talking about and we understand that He is like nothing we can imagine Him to be. Therefore we cannot describe Him. So when I speak English, I do not have a problem saying “God” and in French I say “Deus” and that’s it. When the Christian Arabs speak Arabic, in their Bible, they use “Allah” to speak about God. So, you cannot deprive them using this as this has been the case for centuries and in Arabic, God is Allah. The Roman Catholics among them do not use “Allah” to describe Jesus. There is no problem there. And my understanding of their general hypothesis is that the Trinity is Three in One but they are not confusing the three dimensions of One God. If that is not a problem for them neither is it for us. But we must also be aware that the Christians, depending on traditions that they are following, are promoting the concept of the Trinity. Each group has its own truth or understanding of it. Would you describe yourself as a moderate Muslim? I am not using this vocabulary. This qualification is coming from the colonisers who always had a binary view of the colonised – the good and the bad, the moderate and the fundamentalist. All the people who resisted colonisation were bad and fundamentalists and all those with them were the good and the moderate. I think it is silly. You are aware, of course, there are too many literalists and formalists among Muslims in Malaysia and many parts of the world. Are you saying that it is wrong for Muslims to be like that and that there is a need for them to be more than that? The literalists are looking at the Islamic text, the Quran and the hadith, in a very literal way. I am not saying that they are less Muslim, but they are followers. Maybe in their literal faithfulness, they become less faithful to the objectives of being a Muslim. I want be very faithful to the meaning of the text but I also want answers for my time. So, the reformist trend here is what we have with the first companions of the Prophet saw – some of them were looking at the objectives, not only at the literal meaning of the verses. I am following that one. There are texts – I respect them and there are objectives – I have to reach them. So I am between the objectives I want to reach and the text I have to understand. Between that, there is the critical thinking – the dialectic process – which is exactly the reformist trend. We need to go back to the origins to find out what is the creativity and the confidence of the first companions of the Prophet Muhammad. Today what we lack is confidence when we deal with the text, and we do not have confidence to face the world. Is the text for us to strictly just read and not change the world? We read whole night and don’t change the world throughout the day. To change the world we need our critical thinking – the rationality, the understanding. We need to have our heart not sleeping during the night and the mind never sleeping during the day. This is what we need, this awakening process. It is important. You are Hasan al Banna’s grandson and because of that many Europeans and Americans do not think you are what you say you are. To them he was a fundamentalist and an extremist and that what you are doing is to present a friendly face to what they think he was. How do you handle people like them? I think that a variety of the people who talk of my grandfather never read about him, never knew him. I would never let people judge my grandfather with superficial perceptions. Only 5% of what he wrote is translated into English. Just try to understand what he did and said. Someone who said no to colonisation and who created 2,000 schools, half for girls in a time where this was not the trend is just unbelievable. People questioned my grandparents on how they could send their daughter to school and the daughter in question was my mother. This is the way my grandfather was. When he was, for example, promoting a kind of Sufi trend –which is spirituality – which sprouted into 1,500 such organisations, shouldn’t I respect him for this? So, to all the people today judging him while he was dealing with the world in the 1930s and 1940s, I would say this is unfair. And when you don’t read someone fully, don’t judge that someone especially based on the words of his enemies (the British colonisers). I don’t have a problem with people referring to my grandfather wherever I am because this is a fact. But I am trying to present my own thoughts and I am asking the people to assess my view by reading what I have written. The creation of a pro-US Islamic Front serves that purpose, namely to channel money and weaponsdirectly to the rebels via the new Islamic Front umbrella organization. As the international conspiracy to rob Palestinians of their freedom and homeland is exposed a little more each day, observers and activists still puzzle over the duplicity of the United Nations in the decades-long illegal occupation and ethnic cleansing of the Palestinian territories, not to mention the true intent of Palestinian leaders. So when Richard Falk, Professor of International Law at Princeton and UN Special Rapporteur on Human Rights in Occupied Palestine, visited Norwich recently, I took the opportunity to put some questions to him. [Stuart Littlewood] Can we start with the so-called “peace process”, please? Does the resignation of the Palestinian negotiation team, and the reasons given, effectively end the already discredited “peace talks”? Should the Palestinians walk away or carry on playing a pointless game for another six months? [Richard Falk] It is difficult to know how to assess the current suspension of peace talks. The Palestinian Authority (PA) seems always ready to bend to pressure, although with some outer limits. In this respect, the future of this phase of “peace talks” will be determined not in Ramallah, but in Washington and Tel Aviv. It should be evident 20 years after Oslo that the peace talks serve Israel’s interest in “creeping annexation” of the West Bank and ethnic cleansing in East Jerusalem, while diminishing Palestinian prospects, and even harming the Palestinian image by disinformation that blames the Palestinian side for the breakdown of the process when and however it occurs. It would be a welcome sign of PA independence if they come forth and denounce this peace process for what it is. The sad reality is that this is almost certain not to happen, and more likely than not the period of negotiations will be extended beyond the nine months set aside, on the entirely false claim that the parties are on the verge of resolving all their differences, and with a little patience, the prospects for a deal are quite bright. [Question] The negotiators said they were resigning because of the “unprecedented escalation” of settlement building and because the Israeli government wasn’t serious about a two-state solution and had failed to fulfil commitments given before the present talks were resumed. I now read that [Palestinian negotiator Saeb] Erekat has already been back to Washington for more talks with Tzipi Livni (Israel’s lead negotiator), [US Secretary of State John] Kerry and US envoy [Martin] Indyk. Far from denouncing the process they are once again endorsing it, which makes your point. In any case, how acceptable is it for a weak, demoralized and captive people like the Palestinians to be forced to the negotiation table with their brutal occupier under the auspices of a US administration seen by many people as too dishonest to play the part of peace broker? [Answer] Even if the United States was acting in good faith, for which there is no evidence, its dual role as Israel’s unconditional ally and as intermediary would subvert the credibility of a negotiating process. In fact, the US government signals its partisanship by White House appointments of individuals overtly associated with the AIPAC [American Israel Public Affairs Committee] lobbying group as special envoys to oversee the negotiations such as Dennis Ross and Martin Indyk. It is hard to imagine the fury in the West that would exist if the conditions were reversed, and the UN proposed a one-sided “peace process” biased in favour of the Palestinians. The unsatisfactory nature of the current framework of negotiations is further flawed by weighting the process in favour of Israel, which enjoys a position of hard power dominance. [Q] There can be no peace without justice, so is it right for final status “negotiations” to be held before competing claims are tested in the courts and the many outstanding rulings under international law and UN resolutions are implemented? In any case, shouldn’t a neutral UN peace commission be supervising the final settlement of this long struggle, rather than the US or the Quartet? [A] Yes, if the priority were to attain a just and sustainable peace, a framework would be developed that had two characteristics: neutral as between the two sides and sensitive to the relevance of rights under international law. Such sensitivity would favour the Palestinians as their main grievances are all reinforced by an objective interpretation of international law, including in relation to settlements, Jerusalem, refugees, borders, water. [Q] How much legitimacy does Palestinian President Abbas enjoy, having overstayed his term of office? [A] This question of political legitimacy of President Abbas turns on the subjective mood of the Palestinian people. Because the PA is a political entity so vulnerable to pressures and manipulation, the status of its presiding leader seems to be widely seen as a secondary matter of limited significance. When President Abbas has articulated the case for Palestinian statehood during the last three years at the United Nations he gained considerable personal respect among most governments and for many Palestinians. He seems a leader caught between the realities of his compromised position and the occasional opportunities to express the national ambitions and support the rights of the Palestinian people. The division with Hamas, and the failure to find a formula to restore Palestinian unity in relation to the West, is a further source of weakness for PA claims to represent the Palestinian people as a whole. The failure to hold scheduled elections highlights the insufficiency of PA and Palestinian leadership. [Q] Do you believe a two-state solution is still feasible? [A] No. I think Oslo has been dead for some years, primarily due to Israeli policies designed to encroach upon the remnant of Palestinian territorial and symbolic rights, especially by the continuously expanding settlement archipelago, the unlawful separation wall built on occupied territory, and the demographic manipulations in East Jerusalem. The pretence that Oslo plus the Roadmap point the only way to peace serves American and Israeli purposes in quieting growing complaints about the persistence of the conflict. It represents a diplomatic attempt to deflect criticism, and to divert attention from Palestinian grievances and a growing global solidarity movement. [Q] The 1947 UN Partition was unworkable as well as immoral. Shouldn’t the whole territory [of historic Palestine] be returned to the melting pot and shared out more sensibly? Shouldn’t Jerusalem and Bethlehem become an international city, or corpus separatum, as the UN originally intended? [A] For me the fundamental flaw with the partition proposals contained in GA [UN General Assembly] Resolution 181 was the failure to consult the people resident in Palestine at the time. A secondary flaw was the unfairness of awarding 55 per cent of the territory to the Jewish presence as represented by the Zionist movement, which in 1947 represented an estimated 7 per cent of Palestine’s population. This idea of determining the future of Palestine by outsiders, even if well intentioned, which seems not to have ever been the case, is incompatible with the historical trend toward resolving the future of peoples by way of the dynamics of self-determination. In Palestine’s case, at least from the issuance of the Balfour Declaration onwards, this effort to control the future of Palestine has been justly condemned as the last major example of “settler colonialism”. It is a particularly acute example as the settlers have no mother country to which to return, and take a poker player’s high risk posture of “all in”. [Q] Turning to the role of the International Criminal Court [ICC], this is an organ of the UN. So why doesn’t the ICC initiate its own prosecution of Israeli crimes based on UN reports and the mountain of evidence available to it, especially in view of Palestine’s upgraded status? There is no authoritative explanation of ICC passivity in face of the Israeli criminal violation of fundamental Palestinian rights. [A] There is no authoritative explanation of ICC passivity in face of the Israeli criminal violation of fundamental Palestinian rights. As a matter of speculation, it is plausible to assume an absence of political will on the part of the prosecutor’s office to initiate an investigation that would be deeply opposed by Israel and the United States. The ICC has been recently criticized for its Western bias, and its failure, for instance, to consider whether the United Kingdom and the United States violated the Rome Statute’s enumeration of international crimes by initiating and conducting the Iraq War. The African Union has complained about the seeming focus on the criminality of African leaders, and the bypassing of grievances directed at Western behaviour. [Q] We hear you and others calling for intervention to prevent humanitarian catastrophes, e.g. the Gaza water crisis. Who exactly are you calling on? What is the chain of responsibility for intervening. [A] There has been evolving within the UN and in international society more generally a sense that there is a “responsibility to protect” [R2P] peoples subject to severe threats of humanitarian catastrophes or natural disasters. Such sentiments are part of a process I have described as “moral globalization”. In fact, R2P diplomacy has been discredited by being used as a geopolitical instrument, most dramatically as the normative foundation for the UN endorsement of the NATO 2011 military intervention in Libya. With respect to Libya the justification was protection against a feared massacre of civilians in the city of Benghazi, but the actual military operation from its outset seemed designed to achieve regime change in Tripoli. When it comes to Gaza where the present crisis has passed into a zone of desperation, the UN and world community are silent as if stone deaf to this deepening human crisis of survival. [Q] We have just seen the UN intervening to bring fuel into Gaza as it teetered on the brink of a full-blown public health crisis. There are many such emergencies thanks to Israel’s continuing blockade. Why doesn’t the UN take over the supply of fuel full-time? And indeed the supply of medicines, drugs, medical equipment and spares? [A] The tragic situation in Gaza cannot be understood without taking account of the political context, above all the split between Fatah and Hamas, and the Israeli posture toward Gaza after its “disengagement” in 2005 and the imposition of a punitive blockade in mid-2007 after Hamas took over the governance of Gaza. The UN has no capability to override geopolitical priorities, and so long as it is useful for Israel and Washington to treat Hamas as “a terrorist organization” the UN will be limited in its role to being a provider of a subsistence existence for the Gazan people, long victims of unlawful Israel policies of “collective punishment”, unconditionally prohibited by Article 33 of the Fourth Geneva Convention. After the Egyptian coup of 3 July this year [reference to the mass popular uprising against the Muslim Brotherhood’s President Muhammad Morsi], the subsistence regime evolved in Gaza is itself in jeopardy. The tunnel network has been substantiallydestroyed by Egyptian military action and the Rafah crossing from Gaza to Egypt has been mainly closed, isolating the people, and creating emergency conditions due to fuel shortages that have made electricity available only in very limited amounts. The results are horrifying: sewage in the streets, insufficient power to run machines needed to keep the terminally ill alive, fuel shortages that virtually preclude economic activity, and closed borders that seal the fate of 1.6 million Gazans. Long before this dramatic further deterioration of life circumstances, observers were calling Gaza the largest open air prison in the world. [Q] What is the UN doing to protect Palestine’ s precious aquifers and offshore gas field from being plundered by the Israelis? [A] Again, the UN has no independent capability, or ever will, to challenge Israel or to protect Palestinian rights. It is a case of geopolitical manipulation and Palestinian victimization. The wrongful appropriation by Israel of Palestine’s water, land and energy resources has been a massive crime against the Palestinian people that has been continuous with the occupation that commenced in 1967. [Q] Why is the requirement, often repeated, to allow Palestinians free and unfettered movement in and out of Gaza not implemented? Gaza and the West Bank are supposed to be a contiguous territory but, for example, Palestinian students in Gaza are prevented from attending their excellent universities in the West Bank. And why are Gazan fishermen still restricted to a mere fraction of their territorial waters, despite agreements to the contrary, and regularly fired on? Why is Israel not prosecuted for acts of piracy in international waters against humanitarian traffic to Gaza? Israeli military dominance, as politically reinforced by American geopolitical muscle, overrides all of these Palestinian claims of right… Such injustice and suffering can only be challenged by Palestinian resistance and international solidarity. [A] As earlier, the hard power realities of Israeli military dominance, as politically reinforced by American geopolitical muscle, overrides all of these Palestinian claims of right. In this respect, such injustice and suffering can only be challenged by Palestinian resistance and international solidarity. The specific abuses can and should be delimited to raise public awareness and contribute to the mobilization of support for the Palestinian struggle, but it is pointless to expect the UN to do more than its capabilities allow. The whole structure of the organization, combined with the method of funding, gives geopolitical pressures great leverage in relation to specific situations. The veto power given to the permanent members of the Security Council is a major expression of this weakness that was built into the constitutional structure of the UN from the moment of its establishment. [Q] People reading what you say here will be alarmed that US geopolitical power and Israeli military might can so easily override international and humanitarian law. After Nuremburg our legal institutions were strong enough to bring Nazi era criminals to book, but present-day war criminals walk free and thumb their noses. What hope is there for mankind and our brave new world if this is allowed to continue? The bottom line is that we live in a world in which the primacy of hard power prevails in the relationship among states. [A] The Nuremberg experience was based on “victors’ justice”, holding the defeated leaders after World War II criminally accountable, while exempting the crimes of the victors from accountability. There was a promise made at Nuremberg that in the future the rules by which the Germans were judged would be applicable to all who committed state crimes in the future. This Nuremberg Promise has not been kept. The political and military leaders of the main states enjoy impunity while the leaders of defeated countries (e.g. Saddam Hussein, Slobodan Milosevic) or sub-Saharan African countries are prosecuted by international tribunals. Double standards prevail, and it is questionable whether an international criminal law that punishes the weak and exempts the strong is to be treated as legitimate, even if those accused receive a fair trial and are convicted and punished only if they were guilty of grave misconduct. The bottom line is that we live in a world in which the primacy of hard power prevails in the relationship among states. Geopolitical leverage enables Israel to defy the most basic principles of international law, and yet their leaders are not held accountable. There are only two paths available that challenge this result. National courts can be empowered by what is called “universal jurisdiction” to investigate, indict, prosecute, convict and punish anyone accused of state crime that can be personally delivered to the relevant court. In 1998 the Chilean dictator was detained in London after the Spanish government requested that [Augusto] Pinochet be extradited. After lengthy litigation it was found that Pinochet could be extradited for torture committed during part of his reign, but in the end he was sent back to Chile because of health reasons, and never faced trial in Spain. Yet such a possibility exists in relation to Israeli political and military leaders, and seems to have discouraged their travel to countries whose criminal law contains the authority to invoke universal jurisdiction. The other possibility is by convening a peoples tribunal of the sort constituted in the past by the Bertrand Russell Foundation in Brussels and the Lelio Basso Foundation in Rome. The Russell Foundation sponsored four sessions devoted to various allegations of criminality attributed to the government of Israel. It produced convincing documentation of the charges, and issued judgements that called for civil society initiatives. Such a tribunal, although acting on evidence and in accord with the relevant provisions of international criminal law, possesses no formal authority and lacks implementing capabilities. Its role is limited to documenting the case against a government, and providing symbolic support to those who contend that there have been violations of international criminal law. Such outcomes may influence public opinion, and help change the balance of political forces by undermining the legitimacy of an established order of oppression as exists with respect to Israel’s relationship to the Palestinian people and the denial of their collective right of self-determination. [Q] What are the chances as you see them for achieving unity between Fatah and Hamas, and how should the Palestinians play their cards in future? The “politics of fragmentation” designed to undermine Palestinian unity… has been alarmingly successful. [A] There is a near unanimous belief among Palestinians and their supporters that unity is needed to move the struggle forward. Such unity existed throughout the early decades of the Palestinian national movement, despite many ideological differences relating to tactics and goals, but within a shared resolve to achieve national liberation. The unifying image provided by Yasser Arafat’s uncontested leadership was also important. [Q] Finally, Richard, your robust defence of Palestinian rights has ruffled many feathers and led to demands from “the usual suspects” for your dismissal. Should the people you speak up for be concerned about this? [A] The attacks on me, and others who have tried to bear witness to the directives of international law and political justice, are part of a deliberate campaign by Israel, and its cadres in civil society, to deflect attention from the substantive grievances of the Palestinian people. It is what I have described as “the politics of deflection”, go after the messenger so as to deflect attention from the message. The media have been largely compliant as have Israel’s powerful governmental friends, including the United Kingdom, US and Canadian governments. Of course, many NGOs and elements of the public push back against such tactics. In my case the defamatory efforts of UN Watch, in particular, have been unpleasant, but have not altered my effort to do the job of witnessing to the best of my ability and in accordance with the canons of truth telling. Those of us living in comfort should not turn our gaze away from the children of Gaza this Christmas. [Q] Thank you for being so generous with your time and sharing your assessment of the situation. But before you go, what sort of Christmas can the children of Gaza look forward to? [A] We can only imagine the horror of Christmas this year in Gaza for young and old alike: from life amid raw sewage to freezing cold, scarcities, desolation and a sense that the world is elsewhere, indifferent to such acute suffering, such sustained injustice, such blind hate. And yet also knowing many Gazans makes me believe that even in such dire circumstances there remains space for some laughter, and much love, and that such a spirit of resistance lives on among the children of this place haunted by the evils of our world. If present these days in Gaza it would likely make me feel a mystifying blend of sadness and inspiration. Let us look the children of Gaza in the eye if we can. And if we can’t, as I could not, seize the moment to reflect on what it means to be (in)human during this holiday season. Acts of worship and worldly customs are governed by different rules in Islamic law. Acts of worship must be strictly derived from the texts of the Quran and Sunnah, thus all acts of worship are forbidden except what is explicitly prescribed. In contrast, worldly customs are permissible as long as they do not contradict the texts of the Quran and Sunnah, thus all customs are permissible except what is explicitly forbidden. With regard to customs, they are things that people are used to doing in their worldly affairs. The basic principle concerning them is that they are not forbidden. Nothing of that is forbidden except what Allah and His Messenger have forbidden. That is because commands and prohibitions have to do with the religion of Allah, and acts of worship must necessarily be enjoined. If something is not proven to have been enjoined, then how can it be deemed an act of worship? With regard to customs, if there is no text to prove that a custom is forbidden, how can it be deemed to be forbidden? The basic principle for acts of worship is that any act of worship must be based upon a command or recommendation from the Quran or an authentic report in the Sunnah. This is because only Allah can tell us how He should be worshiped. Allah has blamed those who invent acts of worship for themselves without any authority. Do they have other gods who have ordained for them a religion to which Allah has not consented? In this regard, anyone who invents an act of worship not prescribed in Islam will have their deed rejected by Allah. Whoever performs a deed that is not in accordance with our matter will have it rejected. The basic principle for worldly customs is that any custom is permissible unless it contains something sinful mentioned in the Quran and Sunnah. This is because Allah has allowed us to retain our customs as long as they are not explicitly forbidden. Allah has blamed those who introduce prohibitions into His religion without any authority. O you who believe, do not prohibit the good things which Allah has made lawful to you and do not transgress. Verily, Allah does not like transgressors. Say: Have you seen what Allah has sent down to you of provision of which you have made lawful and unlawful? Say: Has Allah permitted you to do so, or do you invent something about Allah? Muslims have been given permission to adapt worldly customs to Islamic law if they are not sinful. This makes Islam flexible enough to adapt to many different societies and cultural contexts. In this regard, the Prophet informed us that we are more aware of our worldly situation and thus in a better position to rule upon these issues. It would be better if you did not do that. You have better knowledge of the affairs of your world. The Prophet was sent to teach us acts of religion and he did not intend to rule for us on every worldly issue we might encounter, but rather he has given us general principles in Islamic law to help us judge new situations. Verily, I am only a human being. If I command you to do something in religion then adhere to it, but if I command you to do something from my opinion then, verily, I am only a human being. For this reason, customs are a basis of judgment in Islamic law and should be considered when issuing a religious opinion on a new situation. Habits are a basis of judgment. Therefore, whatever customs are deemed appropriate according to the Muslims are accepted by Allah. Whatever the Muslims view as good is good in the sight of Allah, and whatever they view as evil is evil in the sight of Allah. These are the basic principles in Islam regarding acts of worship and worldly customs. They serve as important guidelines for behavior, such that we do not innovate acts of worship into Islam nor prohibit something in the world Allah has made lawful. Beyond initiatives such as protests, distributing pamphlets and other revolutionary activities, there is a more subtle resistance culture being cultivated in Syrian society. This silent activism manifests its resistance in the day-to-day support of the beleaguered communities that have been punished for years for protecting the work of nonviolent activists as well as militant ones. Children making shapes with clay in the town of al-Maliha. Source: Syrian Association for Women and Children. This is another important arena where the activists find themselves face to face with the regime’s machinery of destruction. In response to the activists efforts in protecting and supporting the role of communities as the natural social incubator of the uprising, the regime has placed tremendous resources into destroying this role. Its main strategy has been to terrorize a community into absolute submission, in an attempt to drive a wedge between the activists and their social context. 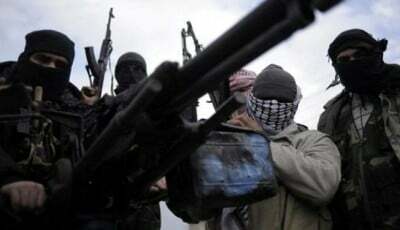 This was evident in the siege of hunger laid by the regime on al-Yarmouk Camp, or the town of Muaddamiya, as a way of pressuring the community to end its support for the activist groups, as well as the militant ones. Syria Untold has attempted to document this silent resistance in the Syrian uprising. The project served around 60 children, divided in six groups, each with a different daily activity. Finding and furbishing a suitable place was the hardest part, according to the activists: “We had to find a safe place, away from the daily bombardment. We also needed to work in secret, away from the regime’s spies.” The project was also faced with financial difficulties, as it was financed by the activists themselves. One of the children at al-Maliha with the independence flag painted on his face. Source: Syrian Association for Women and Children. The activities were sponsored by the Syrian Association for Women and Children and focused on taking the children’s minds off the ensuing daily destruction. They included, clay crafts, football, painting, musical chairs and facepainting. The activists behind the project insist that their work is not related, nor is it against, the militant groups. They maintain that since it is essentially a “humanitarian work”, they did not feel the need to coordinate their work with opposition militias. Nevertheless, this humanitarian work is an important line of defense against the total collapse of the revolution’s most important supporters: the Syrian people. Long beaches with white, soft sand. A swim in the warm and clear waters. Surfing. Water skiing. Diving among wrecks from Roman times. The allure of small rays’ silent flights, and the luck of seeing turtles and leaping dolphins. Beach cafes with plaited palm leaves as protection against the sun. Restaurants with seafood, caught in the golden light of dawn. Or historical walks among remains from the Roman, Persian or Ottoman eras. A quiet walk along the narrow streets, visits to markets, meetings with friendly, smiling people.The Gaza Strip, the Palestinian coastal enclave, has the potential for all of this, with one exception. The occupying power does not permit flight lands in to Gaza. They have even bombed the airport to prevent it. And they use military force to prevent every attempt to get here, or out, by boat. The fishermen risk their lives, their boats and gear, their livelihood, every day. The freshly caught fish or shellfish may never land on your plate. And bringing in materials to build those restaurants is highly uncertain. It could have been so beautiful here. It could have been so rich. But it is not allowed. And virtually no exports are, either. The economy is crippled. For a month and a half, the only electrical plant stood still, was there was no longer money for fuel. Six hours a day, eight if you’re lucky, there’s electricity supplied by the occupying power and Egypt. Perhaps it would be romantic to have a meal of seafood delicacies that were never delivered in a restaurant that could not be built by candlelight, but it would not be a place for students to do their homework. Or for those who have to wade through sewage when streets are flooded because there is no power for the water stations. A Venice of wastewater. The clear sea water has become turbid with wastewater that can not be purified. And the beaches as littered as the streets. And I wonder: By what right do make these people an exception? Exceptions from human rights. From the right to fish in their own waters or farm their own land. From developing their economy. Perhaps this is what the outside world wants. Perhaps this is why the protests are so timid. And people here knows that the world has turned its back on what is happening. Still I meet friendly, smiling faces, people that wish me welcome in Gaza. It could have been so beautiful here. Long beaches with white, soft sand. Beach cafes with plaited palm leaves as protection against the sun. The potentials exist. All except one. TULKAREM, (PIC)– Israeli undercover soldiers kidnapped a Palestinian liberated prisoner from Tulkarem city at noon Monday. Local sources said that Israeli soldiers in plain clothes surrounded the home of Mutasem Iraqi in Tulkarem city and kidnapped him in what they described as a “swift operation”. They said that Israeli occupation forces were seen in a number of armored vehicles near the scene to provide protection and back up if needed in the operation. The sources noted that Iraqi, a Fatah cadre, was released two years ago in the second stage of Wafa Al-Ahrar prisoners’ exchange deal. CAIRO (AFP) — The Islamist supporters of deposed Egyptian president Mohamed Morsi will boycott a referendum on a new constitution next month and organize a campaign against the vote, a spokesman said Monday. The Anti-Coup Alliance led by Morsi’s Muslim Brotherhood movement had initially considered calling on its supporters to vote against the constitution. “We reject any vote under military rule,” said Hamza al-Farawy, a spokesman for the Anti-Coup Alliance, which demands Morsi’s reinstatement. Farawy said the coalition of Islamist groups, which conducts almost daily protests, would launch a boycott campaign. He did not elaborate on how the campaign would unfold, as thousands of Islamists, including the Brotherhood’s top leadership, have been arrested. Morsi himself is behind bars, accused of inciting violence against protesters last year. More than 1,000 people, mainly Morsi supporters, have been killed in street clashes since the president was overthrown by the military amid massive protests against his turbulent year-long rule. The referendum has been billed as a key step in a democratic transition, and is to be followed by parliamentary and presidential elections by autumn 2014, according to the military-installed government’s schedule. The government has vowed to protect polling stations on the two days of voting, planning a deployment of 200,000 policemen, according to state media. “The government is committed to securing the constitutional referendum, with the coordination of the armed forces and police,” Prime Minister Hazem al-Beblawi said Monday, according to the official MENA news agency. Analysts expect the constitution to pass in the vote, amid a widespread backlash against the Islamists and a desire for restored stability. The “constitution will be approved, as voting for it means voting for political stability,” said Mustapha Kamel al-Sayyid, a political science professor at Cairo University. Pro-Morsi protests have been largely confined to universities in recent weeks, and the interior ministry said 25 people were arrested after a student demonstration in Cairo turned violent on Monday. The previous constitution had been drafted by an Islamist-dominated panel and put to referendum during Morsi’s year in power. The new draft has done away with much of the Islamist inspired wording of Morsi’s constitution, which alienated secularists and Egypt’s Christian minority. But the draft that will be put to referendum still allows the military extensive powers, including the right to try civilians in summary tribunals and to choose the defense minister. The military’s power to choose the defense minister is meant to be “transitional” for only two presidential terms, or eight years. It would mean that the current defense minister General Abdel Fattah al-Sisi, who overthrew Morsi on July 3, would remain in his post if he does not choose to stand in presidential elections, as is widely speculated.